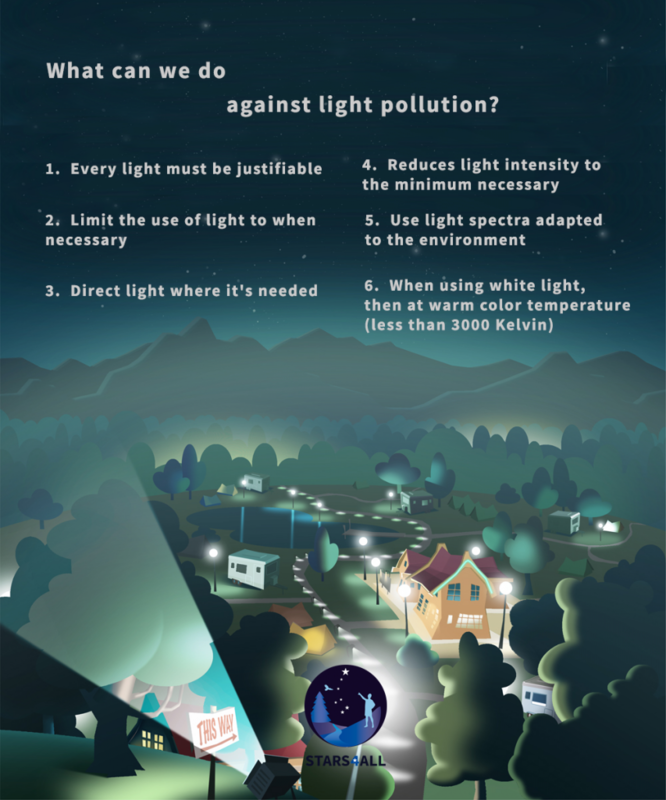 Awareness of the public about the problem of light pollution is a very necessary action in order to move forward conveniently in the proper management of night lighting. The aim of LoNNe is to disseminate recommendations aimed at this end and to improve knowledge of the multiple negative effects derived from the increase in artificial lighting throughout the world. Technology and policy innovations are urgently needed to address the impact of artificial lighting on the natural environment, biodiversity, ecosystems, human health and society, and to identify possible corrective measures. So far, the focus for improvements in lighting technology has been on energy and luminous efficiency, but we need to start addressing different aspects of our environment and health as well.